The California FHA mortgage has become a leading choice for many first time homebuyers in California. The California FHA loan program offers several benefits, keeping in mind the budget constraints of most home buyers who are interested in buying their very first home. It’s no secret property values are very high in CA, especially locations like Los Angeles, San Francisco San Diego. Minimum down payment mortgage options like FHA are important to give home buyers a means to purchase. The FHA loan involves a very low down payment of 3.5%, which makes it easier for homebuyers to meet their budget constraints. In addition, pretty much any eligible homebuyer can apply for this Government backed loan program. Simple to qualify – Qualifying for a California FHA loan is one of the easiest. Since it is the FHA that insures your house loan, the lending companies are very flexible and make it easy for anyone to avail of this unique loan facility. The main components of qualifying are credit and income & employment. Fixed rate property loans – One of the biggest advantages of availing of the California FHA loan is the provision of paying a fixed rate of interest. Compared to other traditional loans where the interests vary, the interest rate remains the same for the entire course of the loan. This period is usually for about 30 years. Having a secure fix interest rate will allow the borrower can plan out his fixed monthly installment in advance. Low closing costs – the Federal government insures the FHA loan, the borrower or applicant incurs very minimal charges during the process. Homebuyers can also have the home seller pay their closing costs, up to 6%. 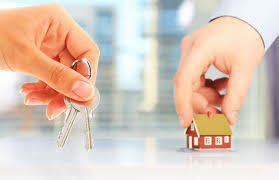 Simple refinance options – FHA makes refinancing your loan simple should the need come up in the future. FHA streamline refinance and also cash out refinance options are available. Apart from the benefits listed above, the FHA entails a very low cash down payment, which is currently 3.5%. There are no cash reserves required either compared to most conventional loan programs. This advantage makes the FHA mortgage loan a very enticing option for California first time homeowners. Note: In this example, a one unit property is a standard, single-family home. Two units refers to a duplex-style house with two residents living in it, and so on. For home buyers looking at higher priced homes over the FHA loan limits, please refer to the 95% Jumbo mortgage options. 5% down Jumbo options are available to eligible home buyers for loan amounts up to $1,500,000. Please contact us by calling the number above 7 days a week, or just submit the Request Information form above to be contacted today.